As well as unveiling a their new Logitech Cube Mouse, which will be making an appearance at this years CES. 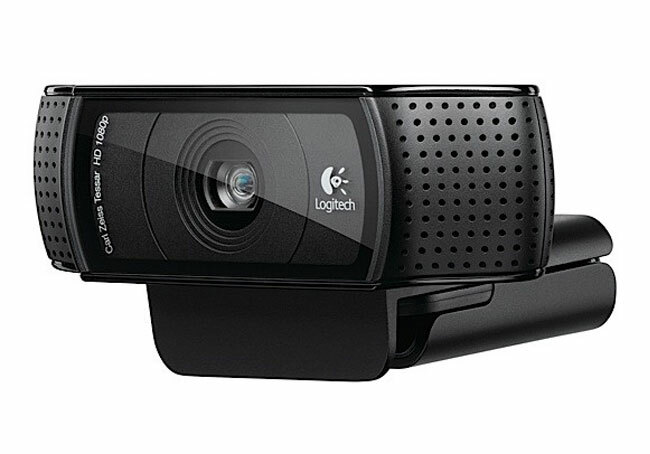 Logitech has also announced a new HD webcamera in the form of the Logitech C920 HD. Which allows you to communicate via video in full 1080p high definition. The new Logitech C920 is the first webcamera to offer full 1080p HD video conferencing with the latest version of Skype, and will provide a lower 720p when used with Microsoft Live Messenger. The Logitech C920 is equipped with Logitech’s Fluid Crystal Technology, Carl Zeiss optics and a 20-step autofocus, and is fitted with two microphone positioned on either side of the webcamera for stereo recording. The Logitech C920 webcamera can also be used to record 1080p footage and comes supplied with ability to upload full-HD clips and 15MP images using H.264 advanced compression technology. The Logitech C920 HD webcamera will arrive next month in stores for around $100.